The brief at the Earl Grey pub was simple: an attractive canopy to provide shelter for customers come rain or shine, so Architen Landrell was approached by CDP Architects to help them achieve this requirement. The pub has long been a part of the social life of Folkestone, with records dating it back to around 1640, and is counted as a place of cultural significance by the townspeople. 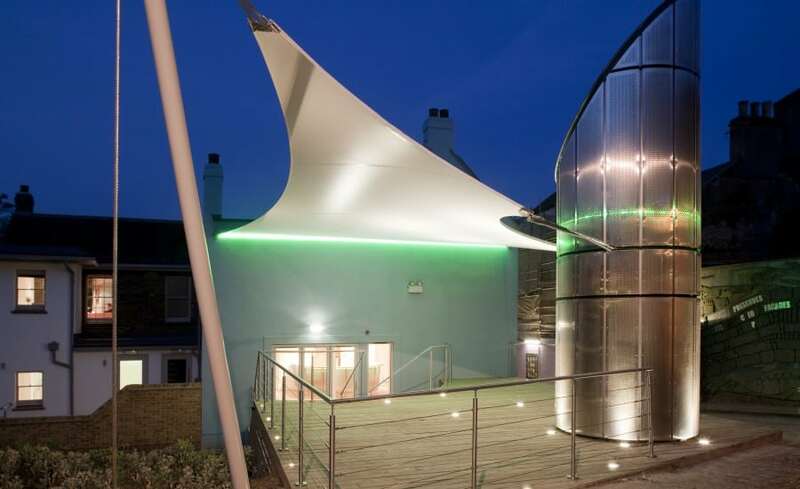 The canopy and other refurbishments were funded by a local charitable organisation owned by the Creative Foundation, part of the Saga family. 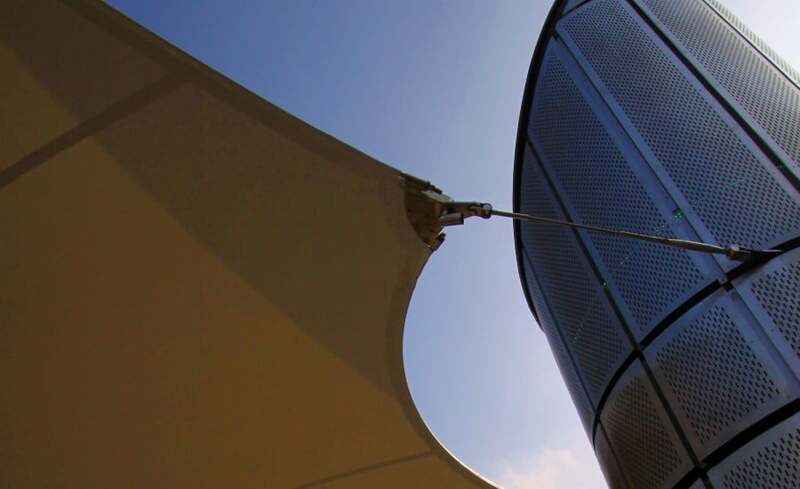 Having seen tensile fabric structures around the country, the client wanted to introduce a lightweight membrane into the pub garden which could provide protection whilst making an architectural statement which contrasted with the surrounding buildings. 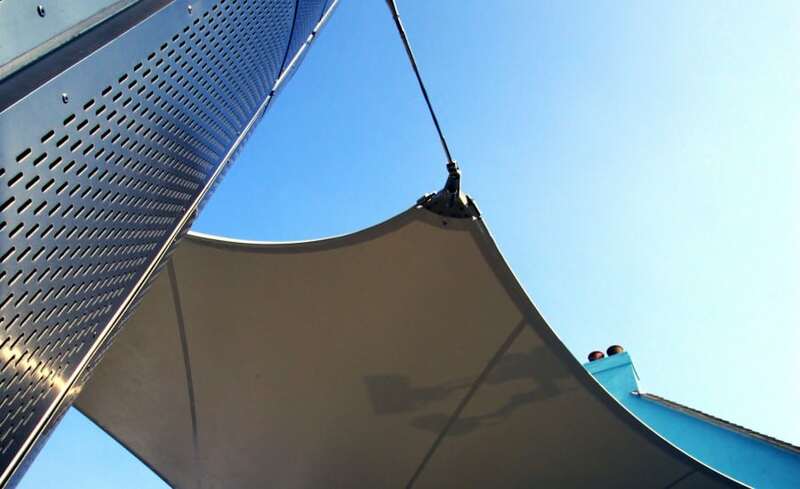 Intended to be used as a barbecue canopy in the summer, the fabric had to be able to transmit a certain amount of light in order to become a light, bright space so PVC coated polyester fabric was reccommended. The canopy needed to be connected back to the existing building without over-stressing the brickwork and therefore careful engineering was required. 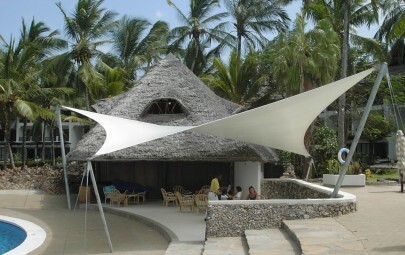 Several elements on the site were built before the canopy was installed. In order to ensure that the surrounding buildings were within our tolerances, a site survey was commissioned and the fabric was not patterned until the results of the survey were published. 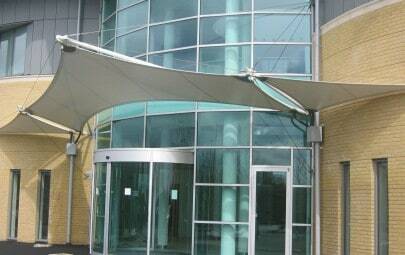 The challenge in this project lay in fitting the canopy into the surrounding environment. 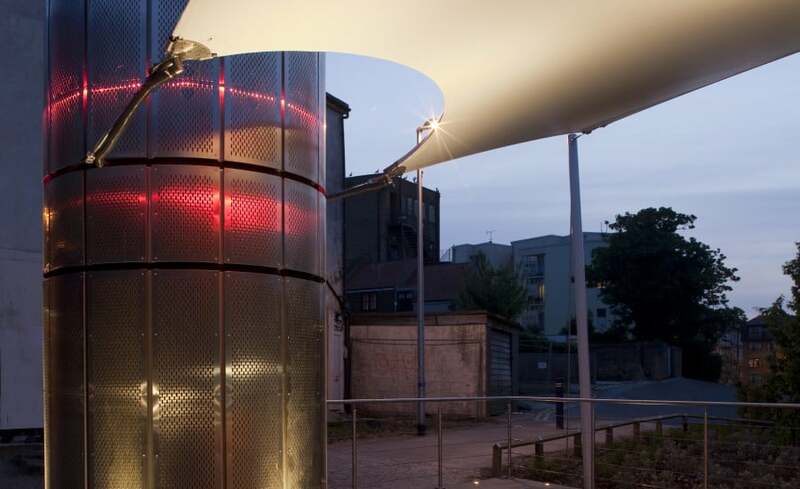 As the pub owners wanted to use the space for barbecues in the kiosk during summertime, the Architen Landrell design team incorporated a 900mm gap between the kiosk and the edge of the canopy to avoid the fat and smoke from the BBQ damaging the canopy. Project Manager Josie Britton comments we are thrilled with the result of the canopy at The Earl Grey and feel sure that the punters will feel the same! 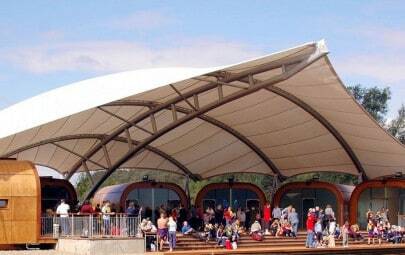 Completed just in time for the summer season, the canopy will provide shelter from the rain or sun depending on the outcome of our variable British weather! Photos courtesey of Richard Gooding Photography and CDP Architects.